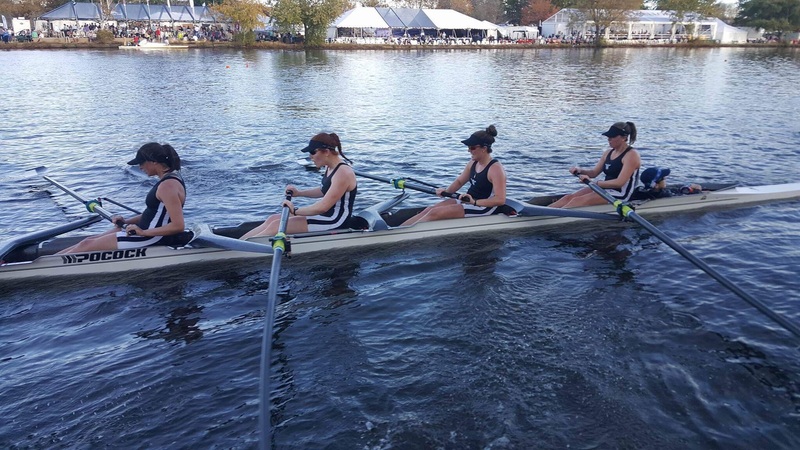 TAKE A BOW: The crew team competed in the Head of the Charles Regatta last weekend. The team sent five boats, with three of them qualifying for next year’s regatta by placing in the top half of their races. The women’s team’s A boat finished in fourth place to earn a medal in the Women’s Collegiate Fours race. This past weekend the Bowdoin rowing team had an excellent performance at the 2017 Head of the Charles Regatta, a world-renowned race held annually in Boston, Mass. At the event, the rowing team had the opportunity to compete against rowing clubs from all over the world. 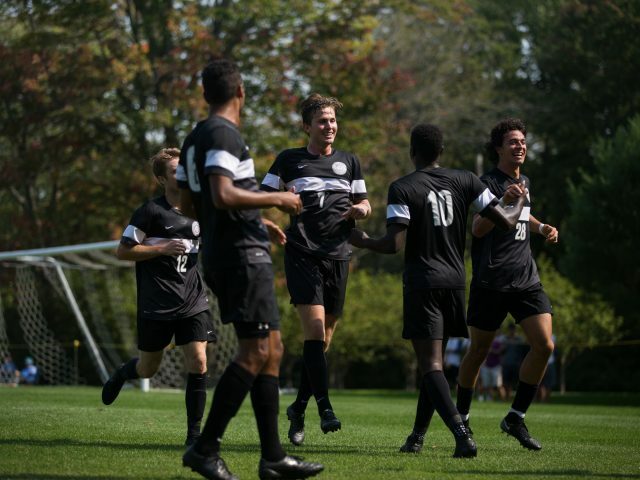 “For us as a small college club program, its enormous exposure to the best and broadest competition that we see during the year,” said Head Coach Gil Birney. 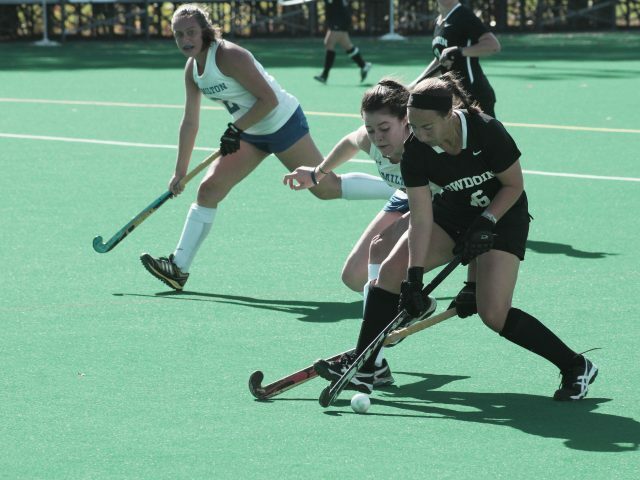 Despite Bowdoin’s small size, the team still stacked up against its competition. Bowdoin brought five boat entries this year, the greatest number of boat entries that it has ever brought to the Head of the Charles. Every year the team’s performance impacts its presence at the next Head of the Charles. Boats that finish in the top half guarantee their program an entry in that particular race the following year. The team as a whole earned three guaranteed entries for next year’s regatta. The men’s side of the team raced its B boat in the Men’s Club Fours. They rowed to 16th place out of 52 entries. Additionally, the A boat and C boat competed in the Men’s Collegiate Fours. The A boat finished just one tenth of a second behind Clemson University and one tenth of a second ahead of Boston College to place 13th out of 49 entries. The C boat had a strong finish at 34th place. The women’s team also found great success at the regatta. The Polar Bears raced two boats in the Women’s Collegiate Fours. After being taken off the waitlist just two weeks prior to the race, the B boat rowed into 22nd place out of 36 entries, just four spots away from earning another guaranteed entry. The A boat finished in fourth place to earn the rowing program a medal in the Women’s Collegiate Fours race. Andy Bolender ’21 steered an aggressive course while Max Larson ’18 set the stroke for Allie Gross ’20, Erin Jeter ’18 and Cirkine Sherry ’18. As a club team, the greatest challenge for the Polar Bears is that they do not get support in admissions to recruit experienced rowers. So, they attribute their success in the regatta to their inclusivity towards new rowers and the hard hours they put into rowing nearly every morning throughout the fall. “We have a really great group of athletes and I think people have gotten into what the coaches call a competitor mindset, which isn’t about winning all the time but is really about making it a race anytime two boats are on the water no matter who we are racing against,” added Captain Jessica Webber ’18. “It is very fun to teach people how to row. We really hope to get people that want to compete and be on the river every day. Those are the people that find the club to be a good fit and survive the natural selection process,” said Rowing Coach Doug Welling. The training starts with a two-week learn-to-row period in which the coaches and veterans on the team instruct new rowers on combining power with the technique and rhythm required for efficient rowing. “People say that you can learn 80 percent of rowing in the first few years, but then that last 20 percent takes decades of practicing and racing. Luckily, we see a lot of mentorship from both the senior rowers and coxswains for our less experienced athletes,” said captain Phillip Wang ’18. The Rowing Team will start the traditional collegiate season this spring and looks forward to training hard for the Dad Vail Regatta in Philadelphia next May. Poised to kill: This weekend, the women’s volleyball team (13-8, NESCAC 7-1) traveled to Amherst to compete in the Hall of Fame Tournament. 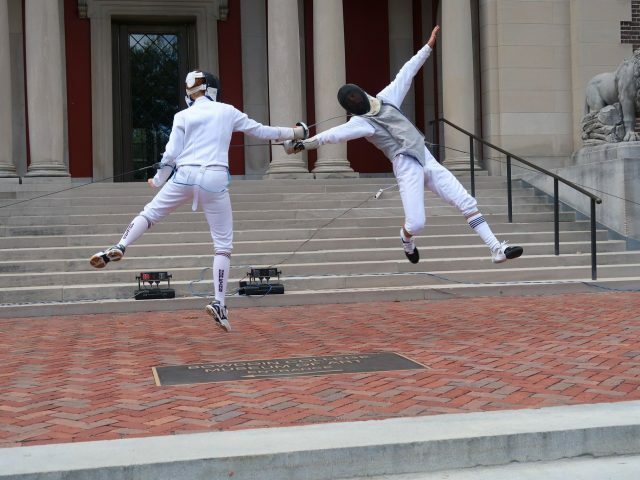 The team swept the first two games against Wheaton and Coast Guard, but fell to Worcester Polytechnic Institute 3-2 on Saturday.